Great cook, famous author and well-known TV personality. He is one of us! 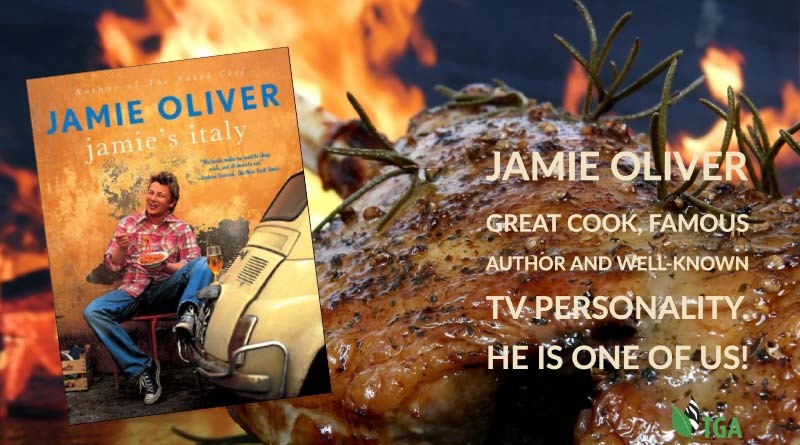 My attention was recently drawn to a chapter entitled MEAT in a book called “Jamie’s Italy” written, of course, by Jamie Oliver – world-renowned cook, author and TV personality. I couldn’t for the life of me understand why someone had given me a chapter to read in a cookery book, but I was soon to find out! Opposite the opening page was the picture of an old Italian shepherd and on the table next to him lay a dead sheep, its hanging head all covered in blood, the throat of which he had just cut. It was the kind of picture I never expected to find in an international cookery book… until I read the first few paragraphs. “I’m highly aware that the picture opposite is both graphic and gruesome, so I am going to explain why I decided to use it in this book and, also, why this chapter is quite visually gritty. This was an incredibly normal sight in Italy. I felt strongly about using it because I found that when I spoke to Italians about their meat, most of the time they would tell me about the natural surroundings in which the animal had lived and what it had eaten throughout its life, foraging for lovely herbs and chestnuts and fruits, and about how it was treated. Image: From a page, in the book, Jamie’s Italy by Jamie Oliver. Image credit: iPhone shot by Elma Britz. All this before they’d even slaughtered it or thought about cooking it for themselves. There seems to be a real understanding, even from kids, that some animals are for food and are certainly not kept as pets. I love the fact that their concept of humane does not just relate to the slaughter but goes all the way back through the whole life of the animal and its welfare. Image: From a page, in the book, Jamie’s Italy by Jamie Oliver. Image credit: iPhone shot by Phillip Hatting. It was important for me to show in this in the book because it’s an honest reflection of what I saw in Italy, and, also, because far too many people in Britain choose to close the door on these uncomfortable aspects of eating meat. And, for me, therein lies the problem. Because the majority of people don’t want to see the dead animal that their cut of meat is coming from, big corporations have jumped in to solve the problem – out of sight, out of mind. Animals are battery-farmed in disturbing conditions and pumped full of antibiotics (because disease is so rife in the confines that they live in). And, of course, they can then offer you a mass-produced leg or breast of chicken, or they’ll try to help you feed your kids by processing, reformulating, reshaping and repackaging meat so it’s unrecognisable. With a cocktail of additives and preservatives, colouring and flavour enhancers in food, it’s not hard to realize why Britain is one of the unhealthiest countries in Europe and why my kid’s generation is the first to be expected to die before their parents. How completely shocking is that? “For most of his life the shepherd in this picture has earned less than a British person on the dole, but the meat he eats is as good as anything served to royalty. It’s the honesty between the average Italian and the land which is one of the things that help them to make the right choice in their diets – it’s this that has allowed them to become the third longest-living country the world, after Japan and Iceland. “As you can tell, this issue is something that I feel very strongly about. I also hope you look at this picture, and a couple of others in this chapter, slightly differently now from how you might have done before reading this. And, after this, if you still want to be a vegetarian, I salute you. But if you want to eat good meat then I really do salute you. We’re on top of the food chain, after all. But for goodness sake, please stop supporting these w*****s that produce cheap, tasteless food, which is more unnatural than you would ever believe. Do me a favour and go to my website (www.jamieoliver.com) and click on the link for The Meatrix. It’s an incredible little film with a very strong message and is something that you can show your kids. Then we come to another photograph in Jamie’s book. It depicts a little girl standing between two grown men, and between one of the men and the little girl, hangs the half-butchered carcass of a wild boar. The little girl is sucking a plastic dummy. Beneath the carcass is a child’s paddling pool full of blood and guts from the butchering. “This young girl was really excited when her dad was preparing the wild boar which he had caught. She knew that the animal had to be cleaned, skinned and gutted before it could be cooked, but what shocked me was how normal it was for all the kids who were playing nearby. Can you imagine if this was happening in Britain? And as for the use of the paddling pool…! Why cannot more South Africans be like Jamie Oliver? Why can’t more people all over the world be like him? This is the right attitude that human beings everywhere should be copying. He says about these – what are unspeakable things in modern so-called civilised society – that which he thinks and that which he believes. What is! And he does so without fear or favour. If more people were like Jamie Oliver there would be no room in this crazy world for fanatical animal rightsism. The members of the TGA and Jamie Oliver are on the same page, and we are happy to have him in our company. Jamie Oliver the TGA salutes you! Are you qualified to operate just because you think you know? 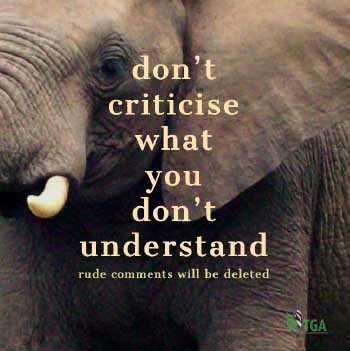 I also salute you Ron Thompson and Jamie , for your honesty i really am concerned that the rest of the world are so blinded by these animal rightists and the fact that CITIES has been corrupted so bad that we will have to dis ban them. The European people in today’s civilized world all live off the land and it is a common picture to see how they slaughter the animals that they eat and have the whole family children included assisting. I really think that your suggestion to dis ban the CITIES and all other wildlife organisations that are not there for good management of our wild life.